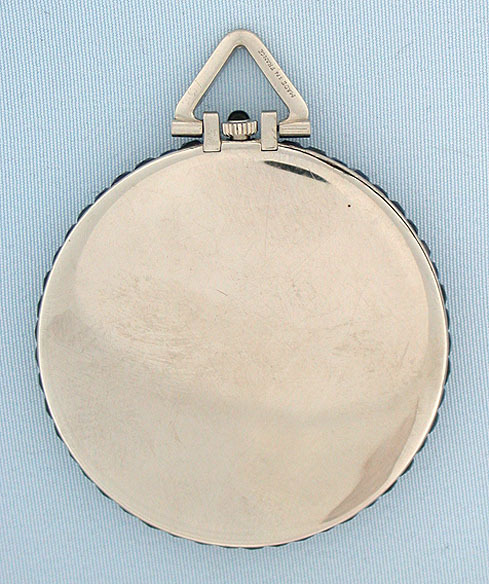 Fine, scarce and elegant Cartier platinum and sapphire slim Art Deco antique pocket watch circa 1925. 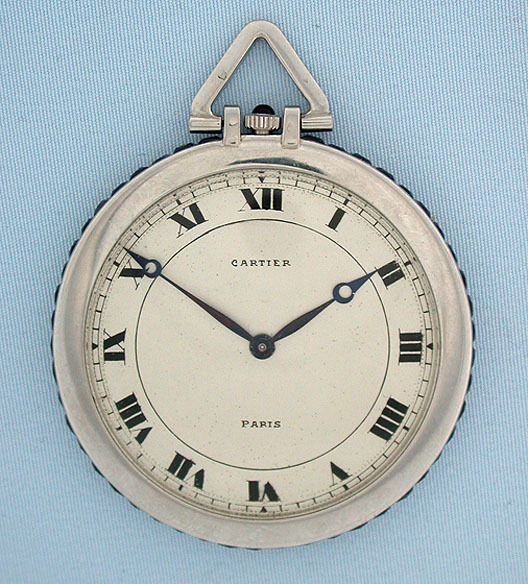 Original silver dial with bold black numerals and blued steel Breguet hands. Plain polish case with sapphire set bad and sapphire crown. 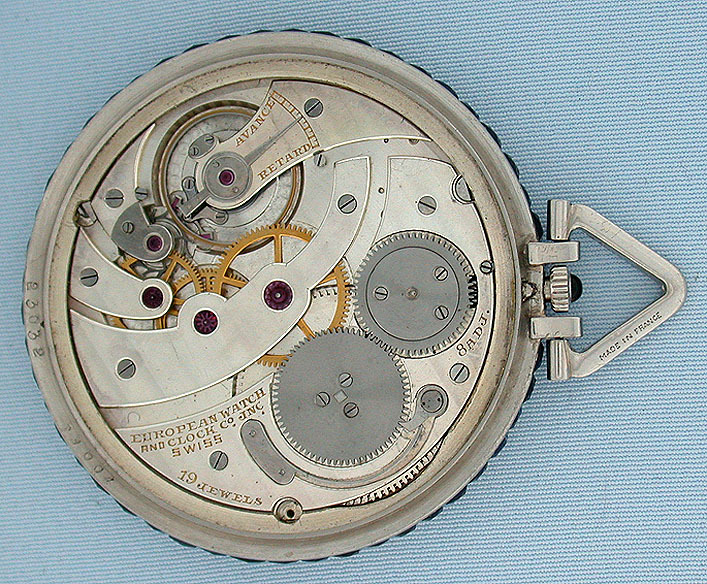 Slim first quality nickel 19 jewel 8 adjustment movement.